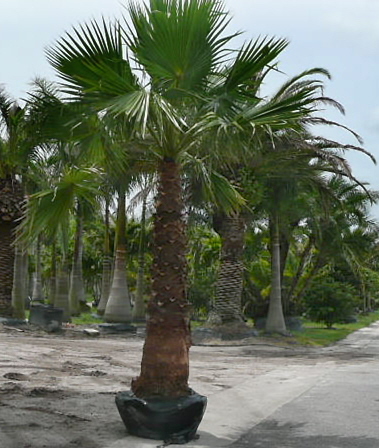 Very tall and stately, Washington palms are popular landscape palms in Floida and elsewhere. They are fast growers that can quickly dominate the landscape. 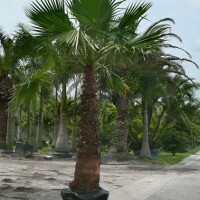 Irrigation is required for establishment, but then do not overwater, which can cause this desert palm to suffer from root and bud rots.